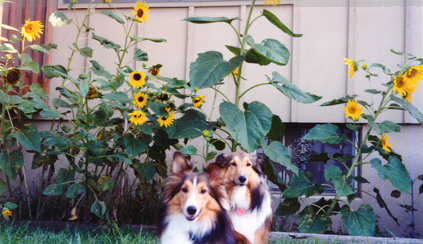 Jasmine – the one on the right – was the first addition to my sister’s household. Her sidekick, Spunky, would tag along later. As a slender, short-haired, long-legged bundle of motion, the little dog quickly won the approval of everyone in her new pack of friendly humans – bad puppy habits and high-maintenance demands notwithstanding. At first, her newfound friends brainstormed about names. In the end, everyone agrees that “Jasmine,” or “Jazz” for short, was a good fit. Jasmine lived up to her name. Like the flower. Sweet. Sensitive. Pretty. Fragrant? That depends on the day. Like many dogs, she finds compost piles, spilled garbage and other not-so-fragrant discoveries extremely interesting. But she smells better after her hair is shampooed. During this ordeal, she stands dutifully soaked, uncharacteristically silent and still. She seems resigned to her fate as she endures her bath-time ritual. A few moments in an oversized industrial sink in the garage isn’t, at least, as bad as an hour-long visit to the vet. One good shake, an air dry and a doggie biscuit later, Jasmine smells as sweet as her name, and all is forgotten. Like the flower, Jasmine is delicate. Speak to her in too stern a voice and she’s visibly crushed. Ears back, tail down, head low. Drive within a few blocks of her veterinarian’s office and she’ll know. The threat will trigger a full-blown panic attack. She’ll drool excessively and may even toss her (doggie-treat) cookies. Her pack leaders learned this the hard way. Now, they habitually take the scenic route. It’s best for everyone involved. Sans doggie shampoo, needle-wielding vets and mailmen, Jasmine is a different dog. She’s a remarkably compassionate, fiercely loyal, wildly welcoming, energetically circling, wonderfully sweet friend – and family member – to her “pack” of pups and peeps. I found the Dog Blog! I’d like to mention another one of Jasmine’s favorite things to do: running around the perimeter of her swimming pool whenever someone jumps in. On second thought, it might be out of concern for the person jumping. Maybe she has a future in the Lifeguard profession?